The MS 180 C-BE is where handy meets high tech. And this lightweight, easy-to-maneuver chain saw’s first order of business is fast, easy starting with the STIHL® Easy2Start™ system. Just a light pull on the cord does it. Just as easy is our Quick Chain Adjuster (QCA), which makes it possible to adjust the saw chain without tools. 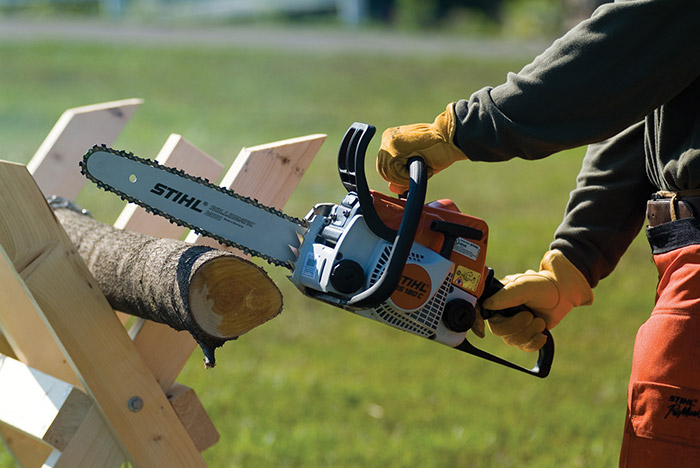 Unbelievably easy to use, the MS 180 C-BE is a big help with your list of woodcutting chores around the home. EMATIC™: Bar includes a polymer ramp reservoir which holds bar oil until it can be picked up by passing chain. 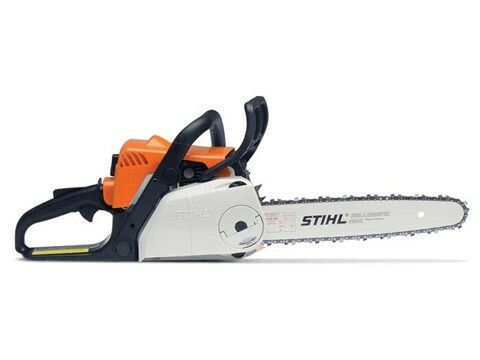 This can reduce oil usage by up to 50%. BUMPER SPIKES: Bumper Spikes help prevent pull-in and provide better control, making cutting easier. 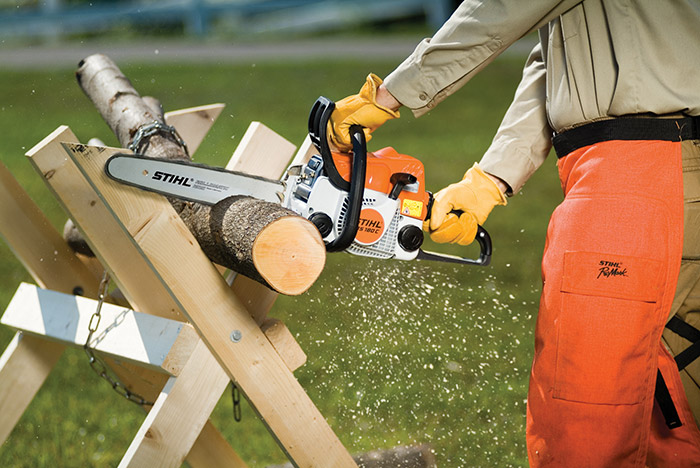 STIHL QUICKSTOP®: Chain Brake System is designed to stop the chain in fractions of a second. Can be manually activated or activated by inertia if the kickback force is sufficient.